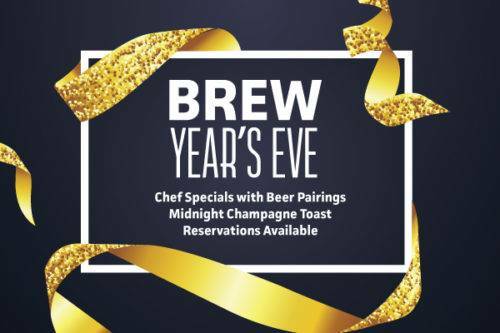 City Works invites guests to ring in the new year with ‘Brew Year’s Eve’ on December 31. The restaurant will offer elevated chef’s specials with carefully selected beer pairings. Plus, enjoy a champagne toast at midnight and a festive party atmosphere all night-long! Partygoers are invited to come back the next morning for a New Year’s Day recovery brunch. Reservations encouraged for New Year’s Eve and New Year’s Day.